Helping kids focus is not an easy task because they generally have the attention span of a gnat. And when you put 30 of them together in a classroom and you have the equivalent of squirrels hopped up on Red Bull. Would you say that’s a fairly accurate assessment? If you’ve never experienced this firsthand, you can do this same experiment by going to your nearest fast food restaurant. Watch as parents attempt to focus their children’s attention on eating when there is a television or playground present. It cannot be done!! So, what is a teacher to do? 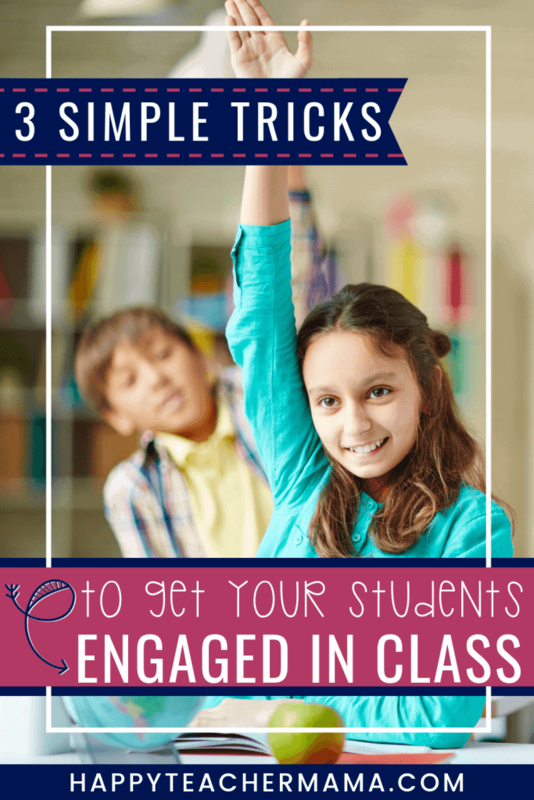 Well, I have 3 tips that will help kids focus and pay attention in the classroom and at home. One way you will be successful in helping kids focus is by simply changing the volume of your voice. You’re probably thinking “Well, yeah…that seems pretty easy.” And you would be correct. It’s extraordinarily easy! However, just because something is easy doesn’t mean we always remember to do it. This technique is especially useful when your kids are using voices that are inappropriate for the situation. By either getting louder or quieter, depending on the situation, you have piqued their interest and gotten their attention. This works amazingly well when you’re in the middle of telling them something important. To make sure they’re listening, just drop the volume of your voice dramatically. By using this one technique, you’ll notice a direct association between the dropping of the volume of your voice and the number of eyes that become locked onto yours. When I was teaching in the public school system, I would occasionally notice that my students were in the “after lunch slump.” By that, I mean they were completely zoned out of the lesson. In a case like this, I would walk over to a student who was paying attention and begin speaking to him/her in a whisper or an extremely loud voice. I would typically use the opportunity to say something important like, “Because you’ve been such a good listener, you can grab a Tootsie Roll out of the bucket.” You better believe that the others became hyper-focused on me when a sweet treat became a possibility. Another situation where I would change the volume of my voice occurred when we were working on vocabulary words or spelling words. We would start with a whisper, use a quiet voice, talk in a normal voice, and then speak very loudly. Then we would work our way back down to a whisper. This was a super-effective way to have them practice correct pronunciation or proper spelling multiple times without it feeling boring. While I dedicated an entire blog post to the importance of movement in the classroom for your kids, movement in this context is referring to YOU. Now, before you write me off as a complete lunatic, just hear me out. I’m not talking about running around the classroom or dancing…although I have been known to “cut a rug” occasionally when it was appropriate. I’m referring to using TPR, or Total Physical Response, in your instruction. It’s a key component of helping kids focus. This might mean you use hand signals, point to your mouth when you want your kids to look closely at what you’re saying, or even move around the classroom as you teach. Because I’m naturally a “hand talker,” this has always been fairly easy for implement. My boys have always said, “Mom, if you had to sit on your hands while trying to tell a story…you couldn’t do it.” While I feel confident that I could at least tell the story, it certainly wouldn’t be as entertaining. But, even if you aren’t extremely animated when you teach, you can easily add a few natural movements to give you kids a focal point while you are instructing them. It will make the learning experience much more engaging for your kids. And I promise, it will help a distracted child or two. 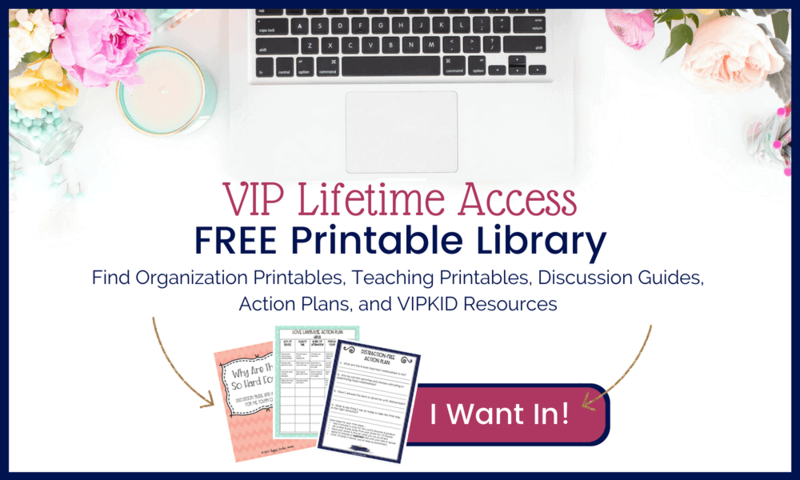 Whether you like your singing voice or not, using this type of voice, or at the very least a sing-song type sound, will automatically make learning easier for your little kiddos. The cadence of music helps them follow along. And, if your goal is getting kids to pay attention, just start singing at the top of your lungs! Don’t believe me? Think about how many times a song comes on the radio that you haven’t heard in months or even years, and all of a sudden you’re belting out the lyrics word for word. How is it possible? It’s the power of music. So, if we apply this same information and add music to difficult educational subjects or topics (like fractions), our kids will automatically become experts! Well, not quite. But, you can take familiar tunes like “Twinkle Twinkle Little Star” or “London Bridge” and change the words to reflect the topic you are studying. Such a simple twist on a song every child knows! But, if you’re completely anti-singing in your classroom, consider the wealth of awesome songs on YouTube that will help your kids remember important concepts. One particular song my kids always loved was The Linking Verb Song to the tune of YMCA. While these techniques probably are not new to you, implementing these little changes can have a huge impact on the engagement you see from the kids you teach. 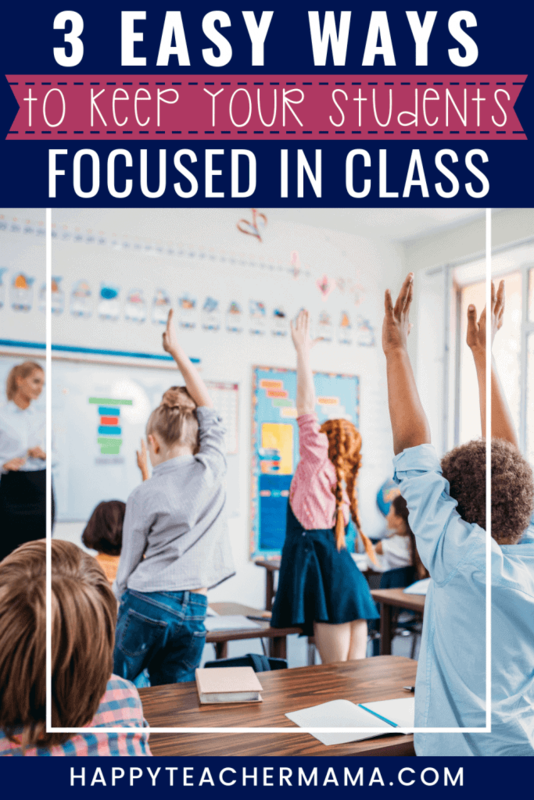 And the best part is these strategies will get your kids to pay attention and will increase focus in the classroom naturally.